Ce produit vous rapporte 400 point(s) fidélité. 400 points = 40,00 €. Hyper Professional - Leaderfins Pro Line - handmade monofin. One of the best hyper monofins in the world available nowadays. 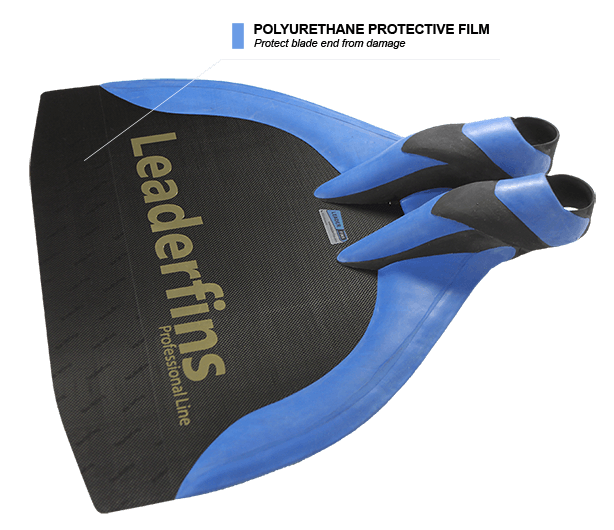 Leaderfins specialists designed and crafted this monofin based on more than 30 years of experience. The monofin was developed with the best finswimmers in the world. 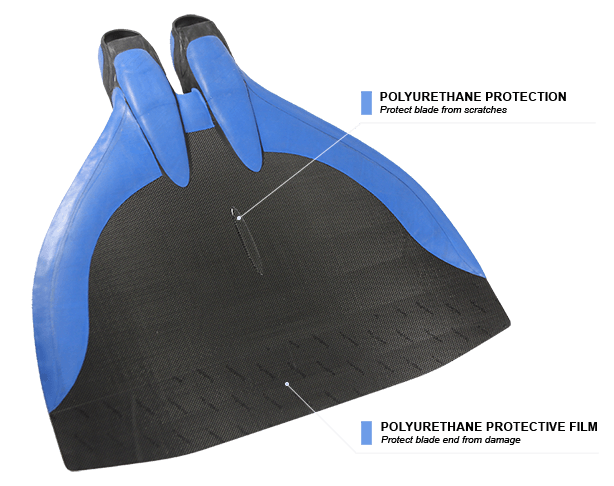 The monofin has revolutionary handmade rubber foot pockets that fit swimmer's feet perfectly and give the best possible power efficiency during the kick. Fiber blade makes the monofin lighter, more responsive, resilient and incredibly reactive. - Hyper Pro fiber monofin with an angle in foot pocket ~ 22 degrees for optimal performance. - The blade is made of a high quality multilayered fiberglass, which is considered to be the best for monofins manufacturing. - High quality foot pockets from soft rubber work like a natural extension of your legs. - Monofin (with foot size 43-44) dimensions ~ 72 x 70 centimeters. (width x length). - This monofin is a great choice for finswimming, dynamic apnea and CWT freediving. Delivery time 3-7 days (depending from destination).